Whether you're a beauty pro or fashionable caveman, this tutorial is both easy and beautiful! All you need is color, your imagination, and a ragged old paint brush. 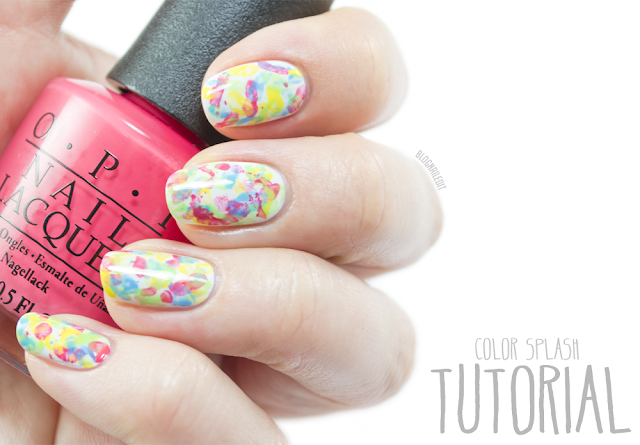 Get the full details on this color splash tutorial over at Divine Caroline! Perfect nail art for summer days! Love how well the color spots work together!